For a long time you could nearly guarantee that a movie licensed off of a video game was going to be terrible. Between missteps like the misguided Super Mario Bros. movie and pretty much anything done by director Uwe Boll (Far Cry, Bloodrayne), video games have gotten a bit of a bad reputation when it comes to the big screen. However, with several new big budget features in the works starring some serious A-list talent, there are hints that just being based on a video game may no longer be a sign of B-list quality. The highly anticipated Warcraft movie has been in the works for what seems like forever and the massive epic will finally hit theaters this summer. The movie is being directed by Duncan Jones, darling director of low-budget sci-fi success Moon and son of the late, great David Bowie. 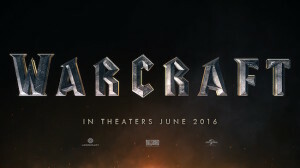 The early trailers have shown a blockbuster epic on par with Lord of the Rings that will cover the early beginnings of the WarCraft universe, specifically the animosity between the orcs and humans as the the heroes attempt to stop a disastrous war. The film will star Travis Fimmel (Vikings) along with Toby Kebbell (Dawn of the Planet of the Apes), Paula Patton (Mission Impossible – Ghost Protocol), and Ben Foster (X-Men: The Last Stand). Many of the stars will sport some serious makeup and CGI as they take on the roles of the green-skinned orcs. We have to admit that the work of Industrial Light & Magic has looked terrific in the international trailer reported by Screenrant, and we can’t wait to see how it’s all going to come together. And Warcraft is only the tip of the iceberg as far as high-quality video game movies look on the horizon. 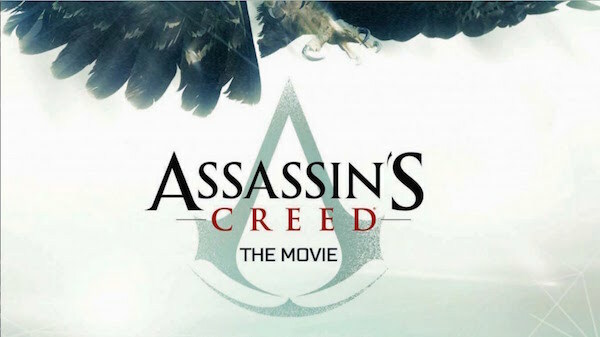 The film based on Ubisoft’s popular adventure series, Assassin’s Creed, is nearly here and will hit theaters around Christmastime. The film will feature two-time Oscar-nominated actor Michael Fassbender beneath the iconic hood and will also star Jeremy Irons, Marion Cotillard, Brendan Gleeson, and Michael Kenneth Williams. There were rumors from Cinema Blend that Fassbender would be playing series protagonist Desmond Miles. However, instead of directly adapting one of the games to the silver screen, this outing will instead serve to expand the world of the series. The actor will take on the role of a modern-day man who discovers his relationship to a 15th-century Spanish assassin. The film has been in development for more than four years, but the release is finally within sight. We can only hope that it’s been time well spent. Many movies have made a successful transition to games, but few games have made the reverse work for them. Action films, specifically superhero movies, have been particularly ripe for video game adaptations, with a number of successful titles ranging from fighting games to adventure platformers to casual gaming titles. The casual options have been on full display lately across the homepage of Gala Bingo, an online platform offers a variety of titles. Their selection plays off popular films such as Iron Man 2 and Gladiator, among others, while encouraging fans to test their luck with their favorite heroes and villains from these blockbuster films. We know that movies will translate to home consoles and computers, and that’s been well established since the days of the Atari 2600 (E.T. notwithstanding). We can only hope that these upcoming movies can help to buck the trend and usher in a new age of quality video game-to-cinema adaptations. And if early trailers are to be believed, we’re about to be in for a treat. Much of the renewed interest in video game adaptations naturally comes from the exponential growth in technology and CGI, but we also feel that just as much of it is a result of the increasing cinematic nature of AAA games. Games such as last year’s Metal Gear Solid V, open-world RPGs like Skyrim and The Witcher, and even FPS titles like Wolfenstein: The New Order have embraced cinematic storytelling at its finest. They make the most of enhanced graphics and the lack of constraints to tell sweeping narratives that often feel more like an interactive movie than a game. It won’t be long before the experiences are likely interchangeable as the level of interactivity continues to expand. In the meantime, we’re looking forward to a glimpse at what is hopefully the future with the upcoming films.